Clothes are big business and with more and more people setting up their own stores the industry is fiercer than ever. For the consumer this means that there is more choice than ever when it comes to wearing unique clothes and showing off your individual style. However, if you’re looking to set up your own range of clothing products then you will need to know how to beat the competition. Read on for a brief overview of the best Shopify clothing stores, if you’re just looking to buy or wanting to check out the competition then you’ll find everything you need here. A clothing shop which is incredibly fashion forward and highly unique. For urban and cool styles then you have come to the right place. This shop provides everything you could ever want – tops, shoes, jeans, dresses, jumpers and even underwear. They also provide clothes for women and men so anyone can shop here. Everything is all priced at affordable rates meaning that you don’t have to break the bank to shop here. Check out this unique and stylish shop. An unusual name for an unusual clothing shop, but this doesn’t make them any less fantastic. Located in Los Angeles and started in 2009, this shop isn’t afraid to shy away from more humorous items of clothing. With a love for cats, and not afraid to offend RipnDip Clothing is perfect for those who like to show off their unique and slightly quirky style. Not only do they offer clothing, but you can find other items here too. Things such as pillows, bags and even plush toys make for perfect gifts for those who share your individual sense of style. Get cool and quirky. Represent Clothing is a British company with its roots in the streets. Created for and by urbanites, this clothing brand has a unique style which will make sure you stand out from the crowd. This clothing brand represents British clothing from several key eras of fashion, but all with a modern twist. Everything is reasonably priced meaning that anyone and everyone can shop there without having to worry about the costs. 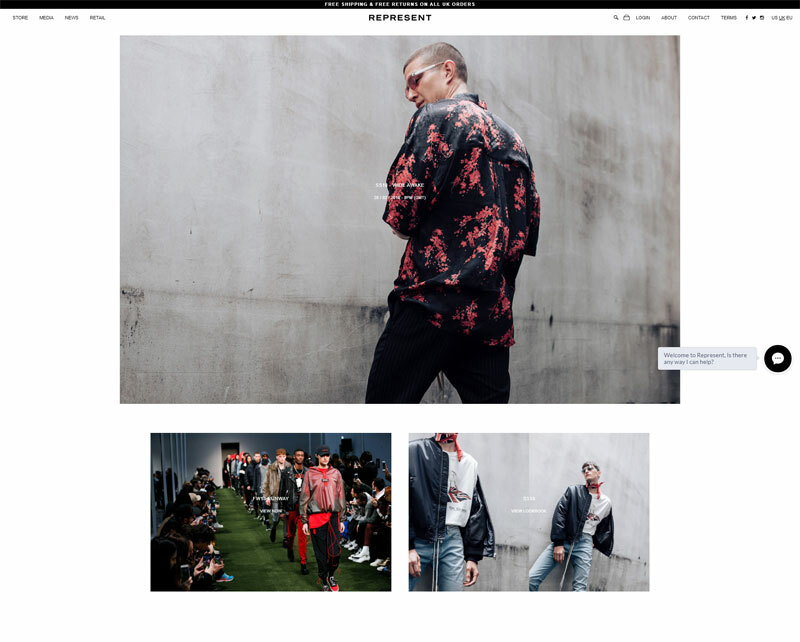 Represent is a perfect name for this company as they truly represent the British culture and fashion. Get representing with them. Although Jolyn Clothing doesn’t offer a huge selection of different garments, it does do one thing particularly well – swimwear. Another one of the Best Shopify Clothing Stores. They offer a great selection of swim tops, bottoms and one pieces. Each piece is really unique and stylish, meaning you can hit the beach with confidence this summer. Not only is everything sleek and stylish but it is all FINA approved so that it can be used for competing professionally. Their tops are all lined for maximum support and comfort as well as making sure you stay well covered. For all your swimwear needs head over to Jolyn Clothing. 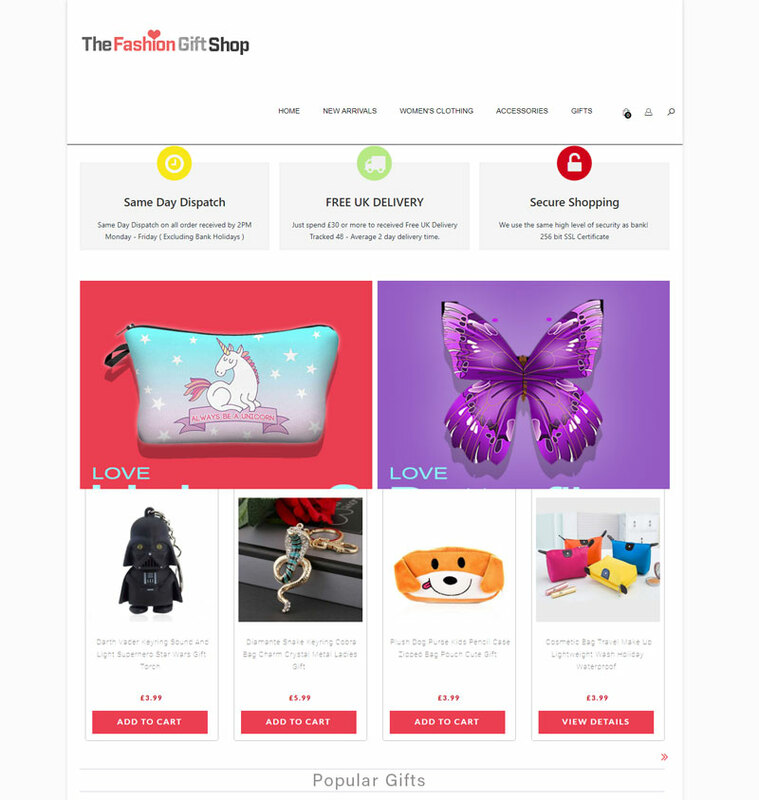 A family owned and run company based in the UK, The Fashion Gift Shop specialises in ladies fashion. They buy high quality ex-branded clothes which are already known from the high street stores that everyone knows and loves. This means that you know you are going to get good quality clothing that you already trust, but for a far more affordable price than you would pay on the high street. Not only do they offer great quality products but they also offer 24/7 customer service meaning that you get peace of mind as well as good clothing. Check them out and find your next high street bargain! Obey are probably one of the more well-known names on this list. 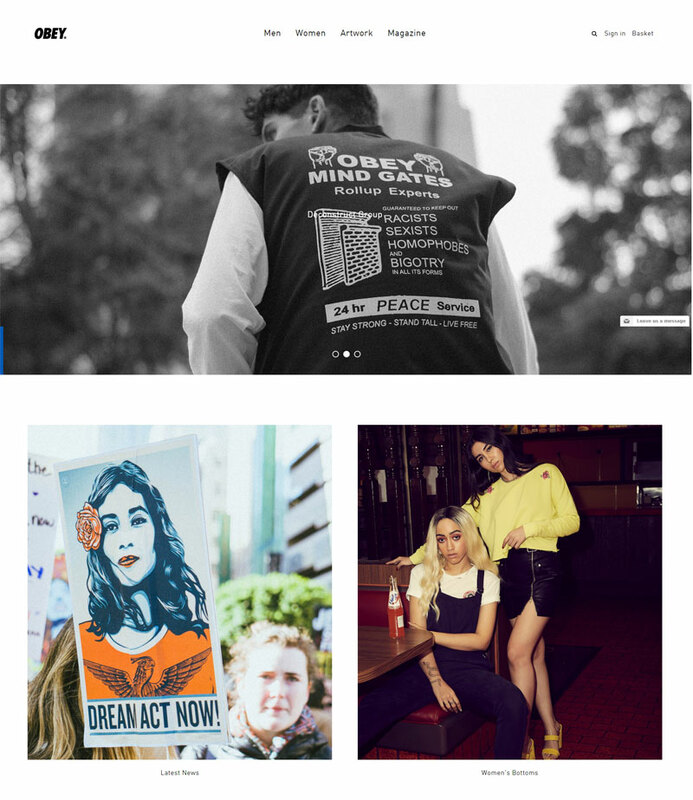 This modern and unique fashion brand cater to those who are not afraid to make a statement with their clothing. 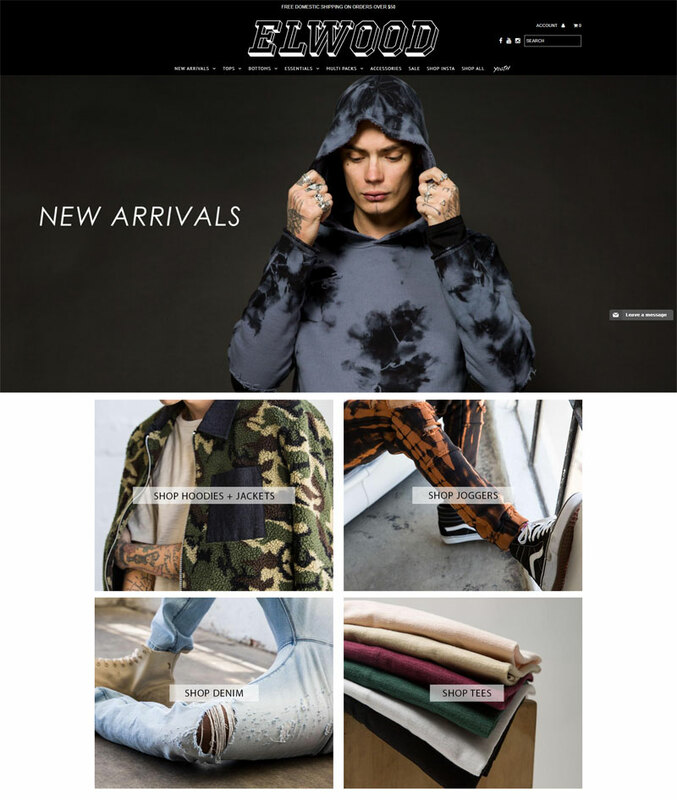 Urban and stylish, this fashion brand works well for the younger audience and provides not just t-shirts, jeans and tops but outerwear, accessories and socks – for both men and women. This brand also do a regular magazine and offer artwork to purchase, making it more of a lifestyle. To find out more about this amazing lifestyle click the image above. Founded in 1995 in New York City as a small independent boutique. In 2011, this brand expanded into the world of online retail so they could share their designs with the wider world. They aim to bring women all over the world an effortless shopping experience from the comfort of their own home. This is why they provide only the trendiest fashions for those who are on a budget. This means that you don’t have to break the bank to look good. Following the latest trends, Necessary Clothing means that you can always look your best. Get the look on a budget. A bit of a strange name, but this clothing company isn’t for those who like life a little bit vanilla. 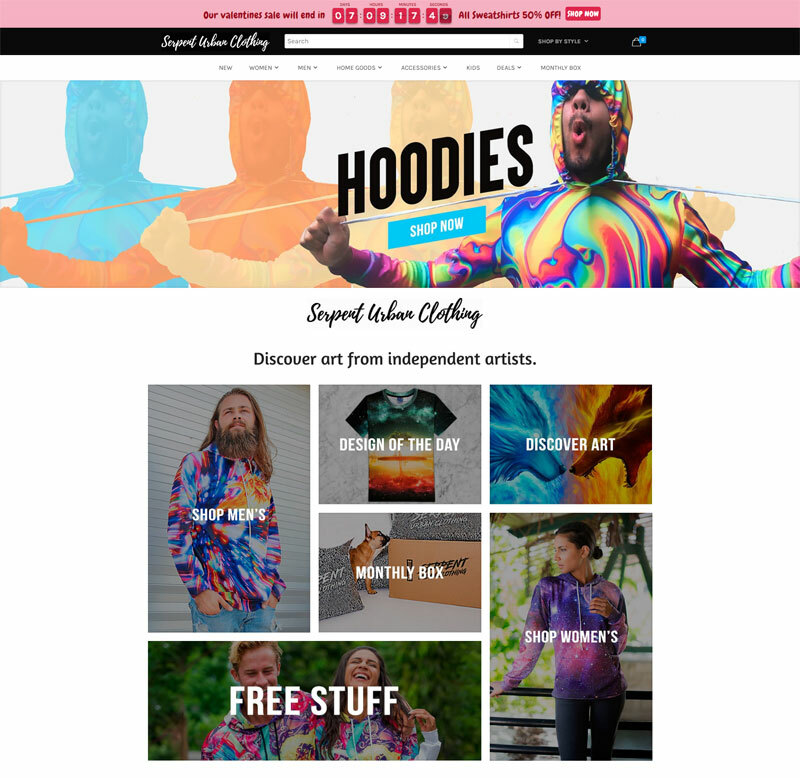 Made with artwork that ranges from the kooky brands to the psychedelic galaxy-like hoodies. This brand of clothing is for those who don’t like to take life too seriously and want to express their unique sense of humour through their clothing. They do clothing for men, women and children as well as things for the home such as pillows and canvases. Express your individuality, click the image above. Catering for the young and trendy urban male, Black Pyramid Clothing is bang on trend with the current styles. For those people who love the athletic style then this is the clothing company for you. 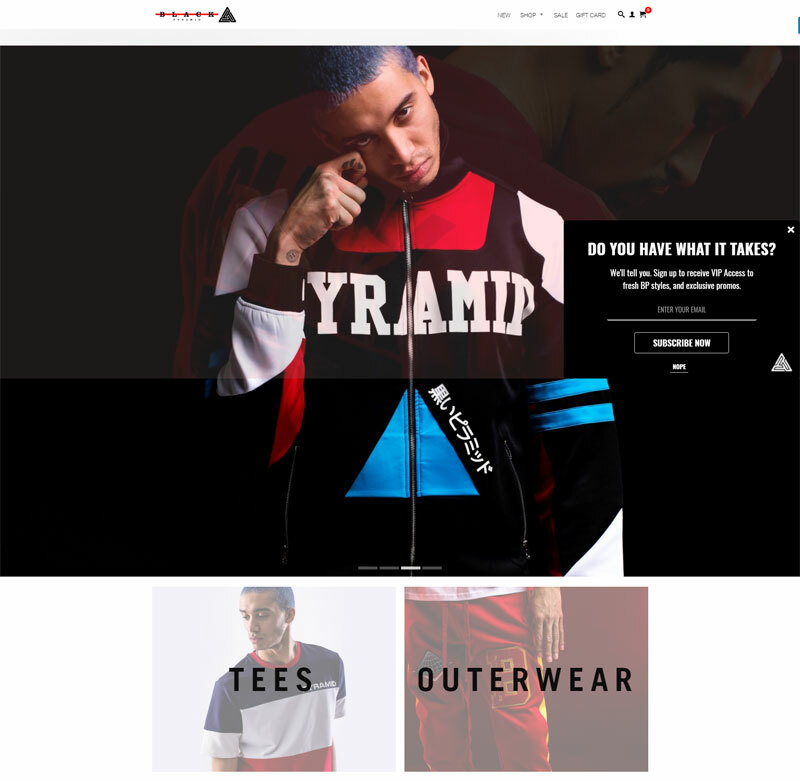 Black Pyramid Clothing offers affordable clothing meaning that you don’t have to worry about splashing out. A lot of online clothing stores often charge a little bit more but with this brand you don’t have to choose between looking good and paying your bills. Check them out. Another slightly alternative online store, this clothing company caters to the slightly off-centre people. If you are someone who likes to stand out from the crowd with their fashion then this is the store for you. From checked pants to those covered with newspaper prints you aren’t short of choice to express yourself. Catering to men, they have tops, shirts, pants, sweatpants, jackets and even accessories. This is one shop where you can get everything you need for a good price. Visit them more. Hopefully, the best Shopify clothing stores on this list will have given you some inspiration for your own stores and you will appreciate the importance of being unique. What you will see from this list is that every store has their own unique selling point, which is what makes them so good at what they do. And if you were just looking for somewhere new to shop, then hopefully you have found somewhere that suits your style and budget perfectly.